The simple beauty of Cedar Oil application is how it can be done with only a brush to stain and an old t-shirt to wipe. To make the process easier, consider a few additional items for a better experience and optimal results. Rough surfaces: 100-175 sq. ft. 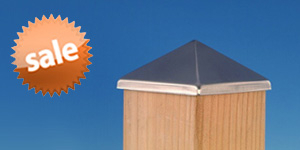 Smooth surfaces: 200-500 sq. 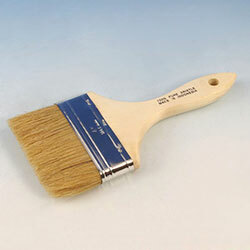 ft.
A brush is great for tight spaces and for the important step of back brushing. After the stain is applied, going over with a brush really helps the stain to penetrate evenly. If you’re cleaning or brightening your deck, you’ll need a stiff bristle brush that can be attached to an extension pole. An alternative is a stiff broom. 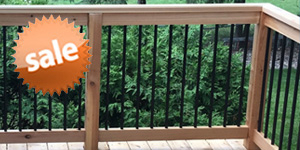 Not staining between boards will make your deck look uneven or unfinished. 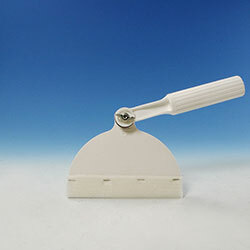 Crack tools make it easy to reach into narrow gaps for thorough stain coverage. 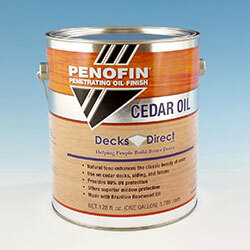 The crucial final step to Cedar Oil application is wiping off any excess stain that hasn’t absorbed into the wood. These lint-free cloths are great to have on hand. 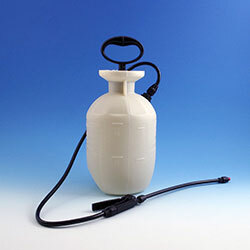 A quality sprayer evenly distributes the stain and won’t clog. 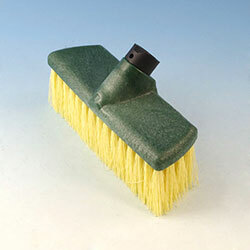 The sprayer is also a great tool for cleaner and brightener application. Rags or cloths that have come in contact with Cedar Oil are at risk of spontaneously catching fire because as the rags dry and the oil evaporates, heat is generated. To avoid this, proper handling and disposal is critical. 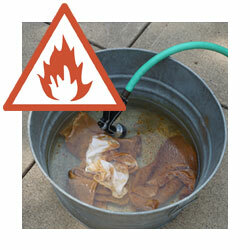 Soak oil-saturated rags in water, then spread the rinsed rags out to dry thoroughly. 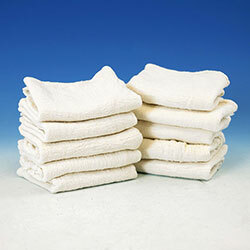 Discard the rags once dry and properly dispose of the wastewater according to local ordinance.